Submersible IPX8 / 1.5M (4.92Ft) for 30 minutes. Selectable 5 or 1 Watt transmit power output. Supplied with 2300 mAh Li-Ion battery, AC and DC 3-hour quick chargers. 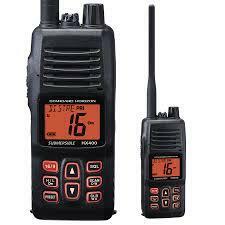 Built-in noise Cancelling Microphone and Voice Scrambler for clear and private communications. 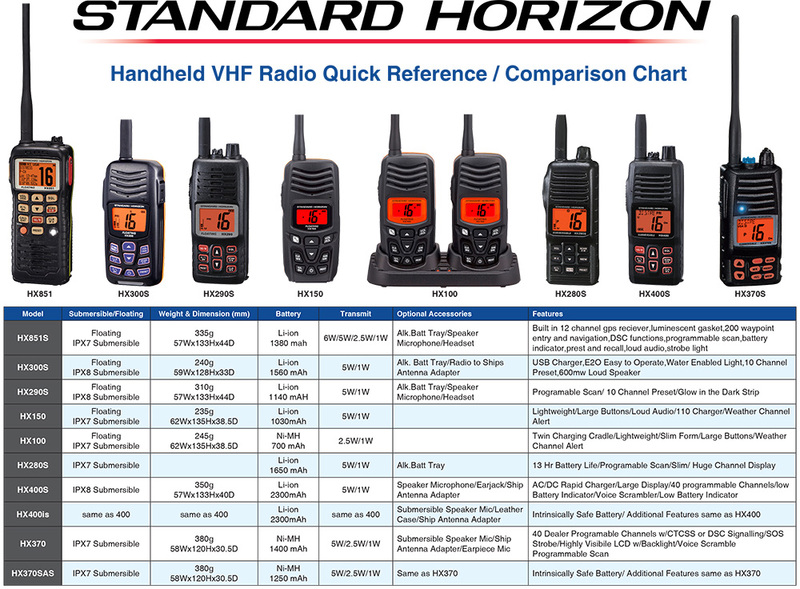 40 Programmable Land Mobile Channels 134 MHz to 174 MHz with CTCSS and DCS. Programmable channel names. NOAA Weather channels and Weather Alert. Low battery indicator. All USA, International and Canadian Marine Channels. Optional speaker microphones and headsets available. Programmable Scan, Priority Scan and Dual Watch. Preset key used to recall up to 10 favorite channels. Key lock.